Lithuanian President Dalia Grybauskaitė on Wednesday met with visiting British Prince Edward, Earl of Wessex, and discussed bilateral relations, arising threats and bolstering security in the European Union. During the meeting with Prince Edward and Sophie, Countess of Wessex, the Lithuanian president underlined that despite Britain's decision to leave the European Union, "the continent's security architecture will be unimaginable without it“, the presidential office said. According to the Lithuanian president, the meeting also touched upon Lithuania's Soviet occupation and deportations of residents of the Baltic states. "It once again proves that it was occupation and a negative attitude towards the Baltic nations by Russia. It was the thing our guests didn’t know and it was important and interesting for them to see Lithuania with such complex history and so changed for the better," the president said in a recording published by the presidential office. According to the presidential office, bilateral relations, growing business ties as well as innovation and high technology promotion were discussed during the meeting. It was stressed that the UK has created over 20,000 jobs in Lithuania, and Britain has become "a second home" for many Lithuanians. Grybauskaitė also expressed hope that interests of Lithuanian and other EU citizens would be protected during the Brexit negotiations. The presidential office also underlined Britain's role and responding to hybrid threats in Europe and its contribution to NATO's defense of the Baltic states through the deployment of its troops. 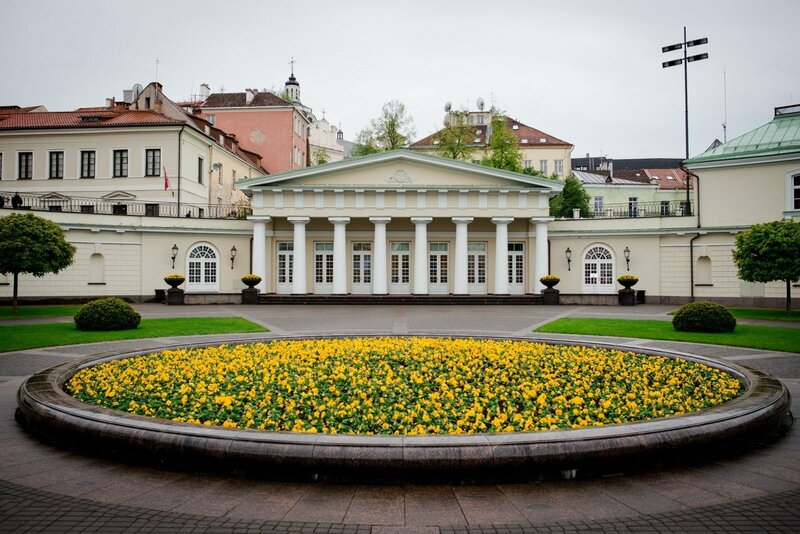 During the visit, Prince Edward together with the president will deliver the Duke of Edinburgh's Awards to the youngsters of Lithuania, who aim for personal development through volunteering, scientific knowledge, sports, and arts, at the Palace of the Grand Dukes of Lithuania. The United Kingdom's Prince Edward , Earl of Wessex, will pay a visit to Lithuania on Wednesday.